Most custom jewelry products start with a meeting between you and the jeweler. Typically, that meeting takes place in person, though such meetings are now taking place on video conference as well. During your first meeting, you will discuss your ideas for the piece of jewelry. Some jewelers will start sketching ideas right away. Or they may show you pictures of different designs and concepts. You will discuss what the piece of jewelry means to you, who it is for, and if it is to commemorate a special occasion. You’ll also discuss the type of metal you want to use, and your gemstone preferences. A very important part of that meeting is to get to know each other. 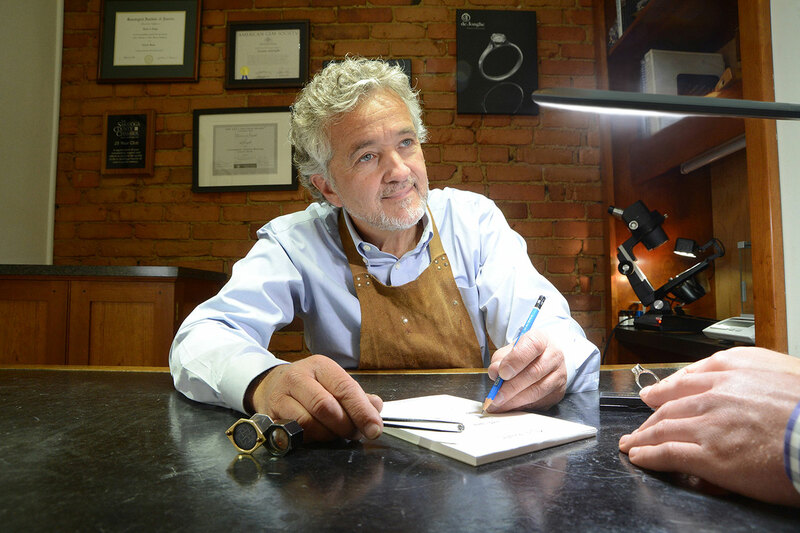 For a custom jeweler to create the perfect design for you, there has to be a meeting of the minds. After the first meeting, the jeweler will create a design proposal. Some jewelers do this by creating a detailed rendering with pencil or color. Some jewelers create a computer aided design (CAD) drawing. You will review the design with your jeweler, and there may be some back-and-forth while you finalize the design. Then, the making begins! 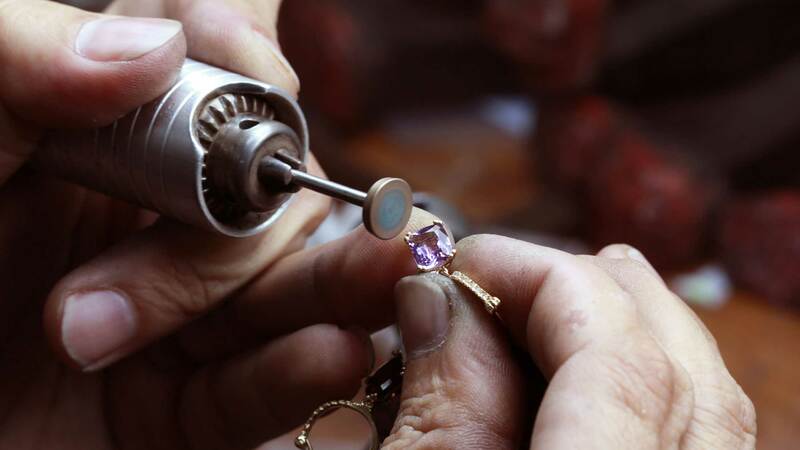 The jewelry-making process involves forming metals, sawing, filing, soldering, stone setting, and polishing. This is all hand work, and it will likely take 3-4 weeks before you can see your finished piece. 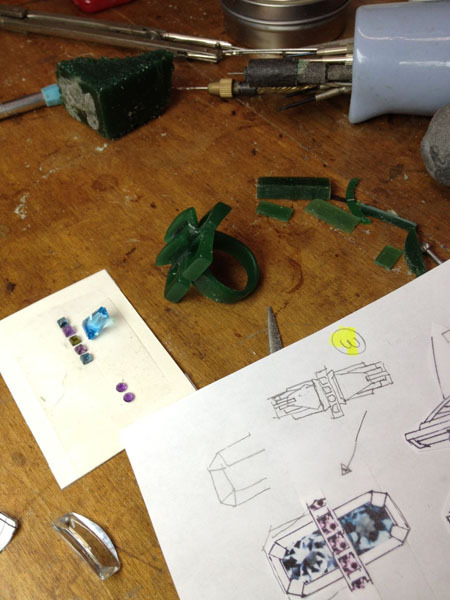 Some jewelers will keep you apprised of the process, showing you their progress at each step. Others may proceed quickly to the final piece. Then, finally!, the day arrives and you will be presented with your finished jewelry. Your custom jewel will be one of the most gratifying purchases you ever make, because it’s truly personal, it’s art, and it’s genuine craftsmanship that you get to observe first-hand.